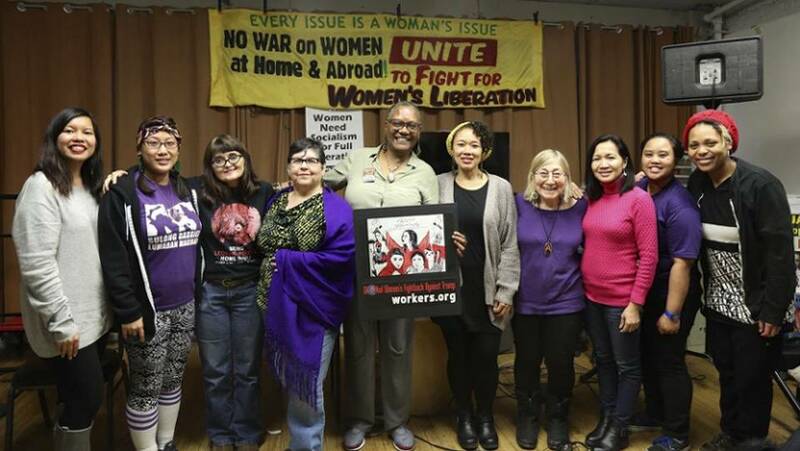 The New York City branch of Workers World Party held a special forum on March 18 in honor of International Working Women’s Month. 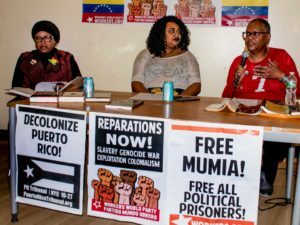 The theme of the forum was “Global Women’s Fightback against Trumpism.” Workers World Party members Teresa Gutierrez, Monica Moorehead and Stephanie Tromblay spoke on migrant women and May Day, solidarity with Black and trans women’s lives, and defending Standing Rock and Indigenous women, respectively. 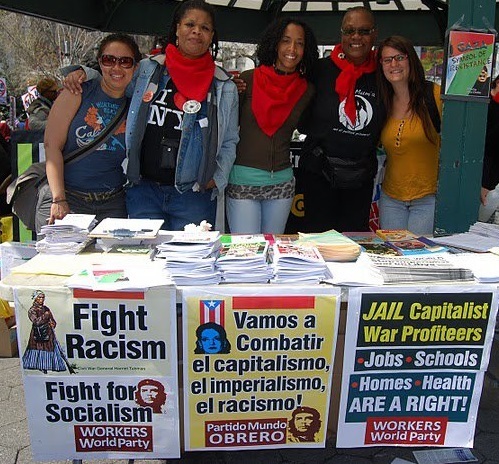 Guest speaker Jennine Ventura, a leading member of Gabriela USA, presented a slideshow on women resisting militarism and plunder in the Philippines. 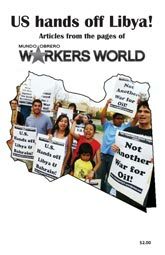 LeiLani Dowell, WW managing editor, chaired the forum.